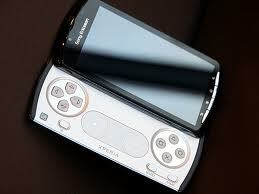 UKs favorite cellular network, O2, has announced on delaying the launch of the Sony Ericsson Xperia Play. O2’s official blog reported the delay, due to bugs found on the phone’s software. The Xperia Play would miss the previously announced release date, April 1, as the team was back on the table working with Sony Ericsson to fix the issues discovered while testing the smartphone. The carrier has not published a revised release date for the smartphone but is expected to be available in matter of weeks time. As the head of O2’s device testing team, my team and I see every phone that O2 will be selling before it goes on sale. Our job…..is to make sure these phones are ready for our customers before they go on sale. This means we rigorously test each phone, often for weeks, and try every single feature. We get to know each phone inside and out and, by the time it goes on sale, need to be absolutely certain it’ll offer our customers a great experience.